If you dig Sally's pendant, please share with your friends. Thanks! 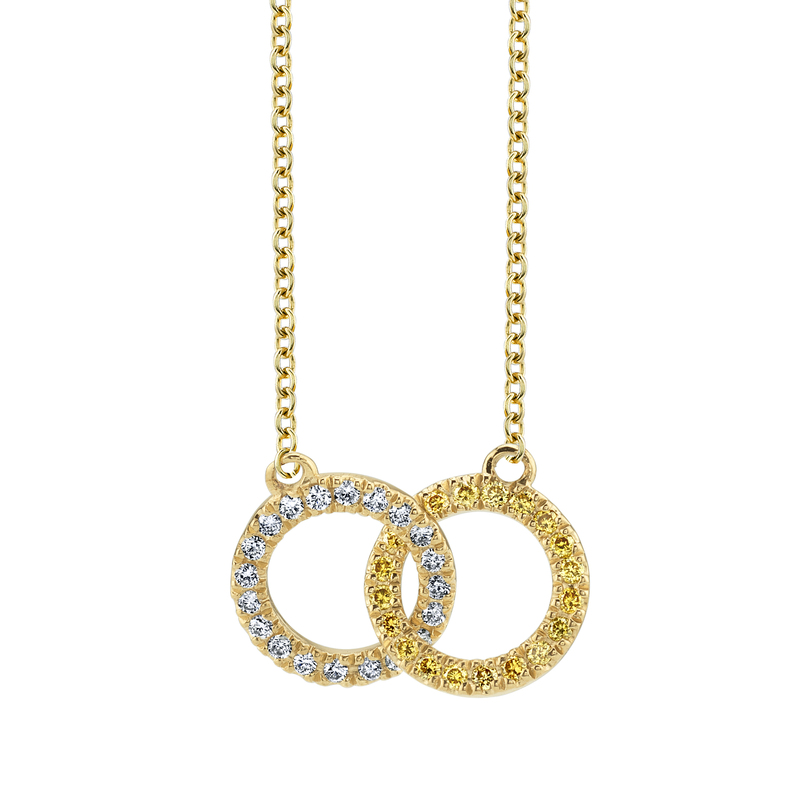 Custom 18k yellow gold pendant with colorless and natural yellow diamonds in interlocking circles design.